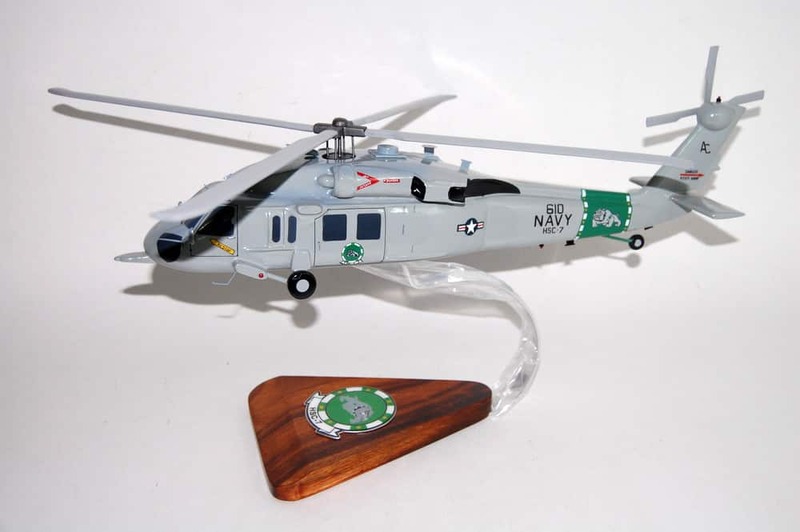 Helicopter Anti-Submarine Squadron SEVEN was originally established in April 1956 at Naval Air Station Norfolk, Virginia for the mission of harbor defense. 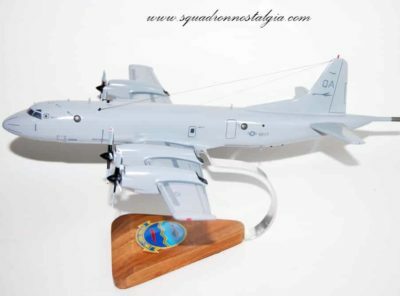 The squadron, originally known as the “Big Dippers,” was later assigned the role of Anti-Submarine Warfare in support of fleet units. HS-7 served on board the USS VALLEY FORGE (CVS-45) while flying the Sikorsky HSS-1 helicopter. 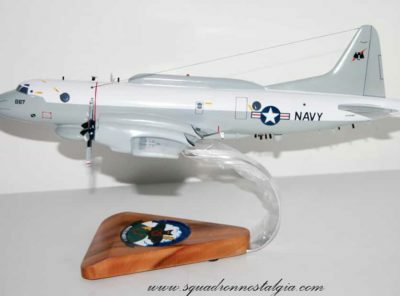 The squadron was decommissioned on May 31, 1966 but later re-established at Naval Air Station Quonset Point, Rhode Island, on December 15, 1969. 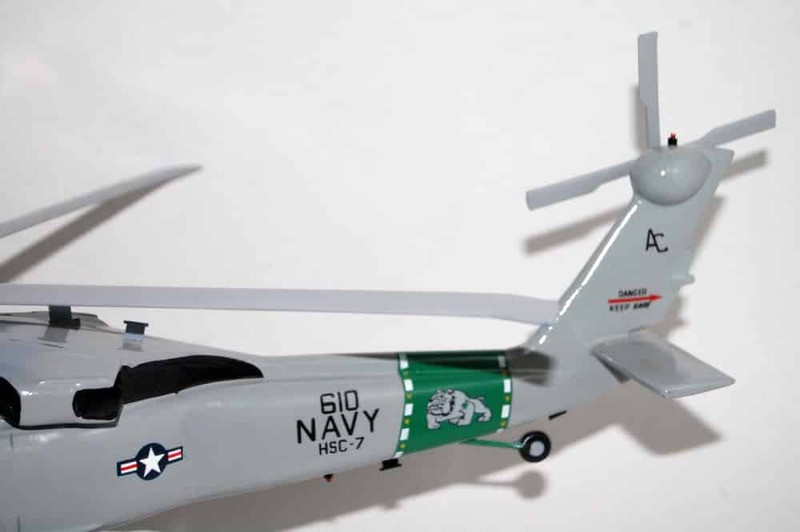 During a respite between cruises in 1970-71, the squadron held a naming contest, resulting in the “Big Dippers” becoming the “Shamrocks”. In 1973, HS-7 joined Carrier Air Wing THREE (CVW-3), changed homeports to Naval Air Station Jacksonville, Florida, and transitioned to the venerable SH-3H Sea King helicopter. From 1981 to 1993, the Shamrocks deployed numerous times on board the USS JOHN F. KENNEDY (CV-67), including deployments in support of Operations DESERT SHIELD and DESERT STORM. In December 1993, the Shamrocks and CVW-3 shifted to the USS DWIGHT D. EISENHOWER (CVN-69), affectionately called the “IKE”. 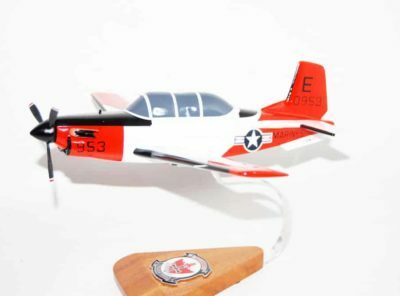 In 1994, HS-7 became the first HS squadron on the east coast to be assigned female sailors and officers. In September 1994, HS-7 was tasked to support the “IKE” and the US Army’s 10th Mountain Division off the coast of Haiti during Operation UPHOLD DEMOCRACY. 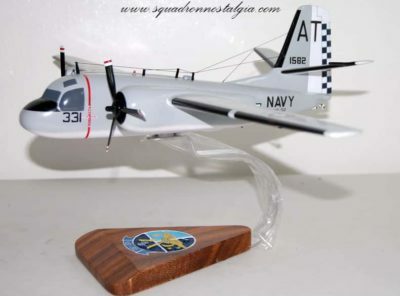 Later that same year, HS-7 deployed to the Arabian Gulf in support of Operation SOUTHERN WATCH and in the Adriatic Sea during Operations DENY FLIGHT and PROVIDE PROMISE. 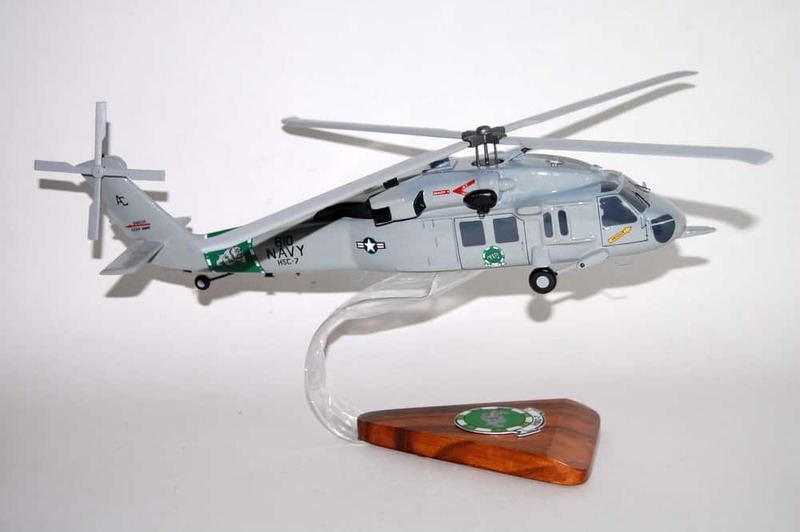 Upon returning from the “IKE” in 1995, the Shamrocks transitioned to the Sikorsky SH-60F and HH-60H and adopted the new call sign “Dusty Dogs”. 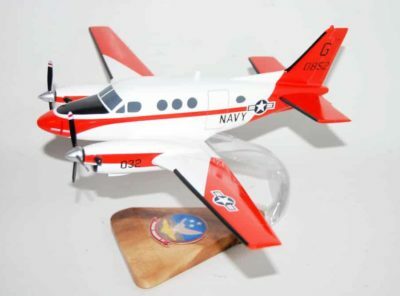 In May 1997, the squadron completed their first deployment flying the new aircraft from USS THEODORE ROOSEVELT (CVN-71) in May 1997. 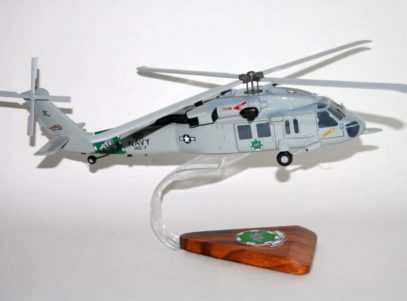 HS-7 went out again from October 1998 to May 1999 on board the USS ENTERPRISE (CVN-65) in support of Operations DESERT FOX and DELIBERATE FORGE. The squadron completed the maiden cruise of USS HARRY S. TRUMAN (CVN-75) in 2000 and returned in June 2001. From December 2002 until April 2005, HS-7 deployed twice more on board the TRUMAN. During the 2003 cruise on board the TRUMAN, HS-7 served in the Mediterranean and Adriatic Seas in support of Operations NORTHERN WATCH and IRAQI FREEDOM. In May 2010, HS-7, attached to CVW-3, departed aboard the USS HARRY S. TRUMAN for a seven month deployment to the 5th Fleet AOR. The Dusty Dogs supported CSG-10 assets participating in Operations ENDURING FREEDOM and NEW DAWN while providing the strike group with essential anti-terrorism force protection, logistic, MEDEVAC, and SAR support. Cruise highlights include the night rescue of eight Iranian mariners in the North Arabian Sea and joint rotary wing training with the Royal Air Force of Oman – a first in the history of U.S. 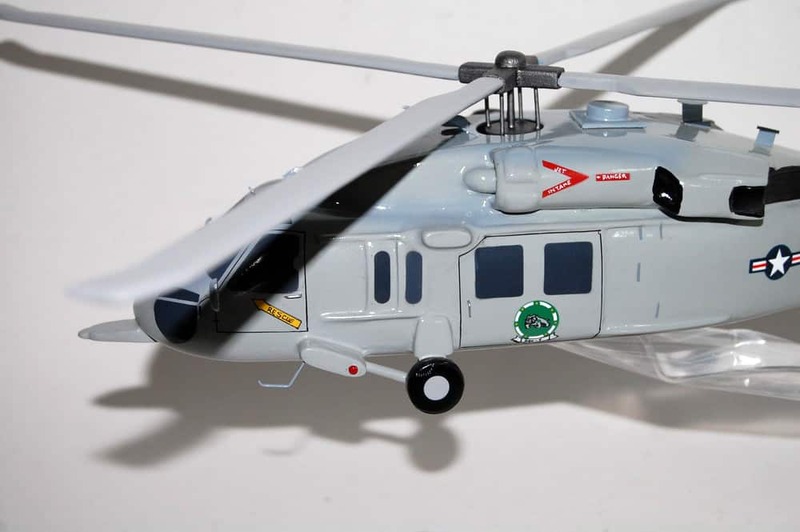 Naval helicopter aviation. In November 2010, after 54 years of excellence in Antisubmarine warfare, HS-7 ‘sundowned’ their ASW mission when they went “ball dry” for the last time. 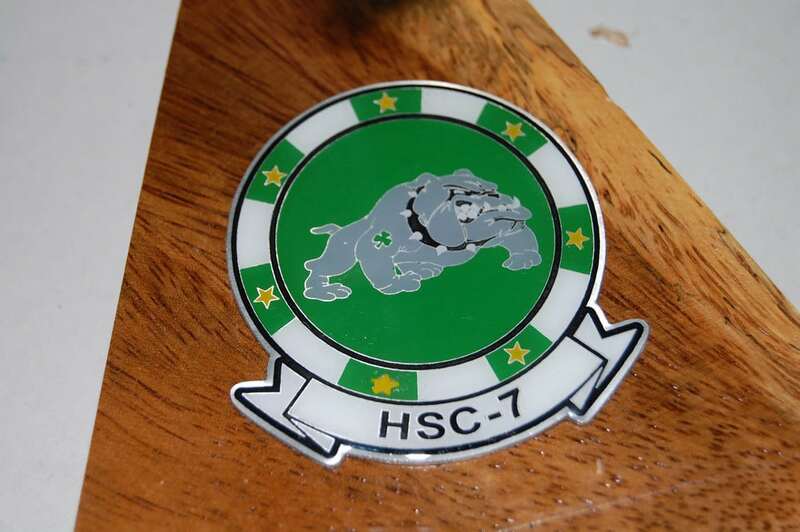 On April 15, 2011 Helicopter Antisubmarine Squadron SEVEN was re-designated Helicopter Sea Combat Squadron SEVEN (HSC-7). 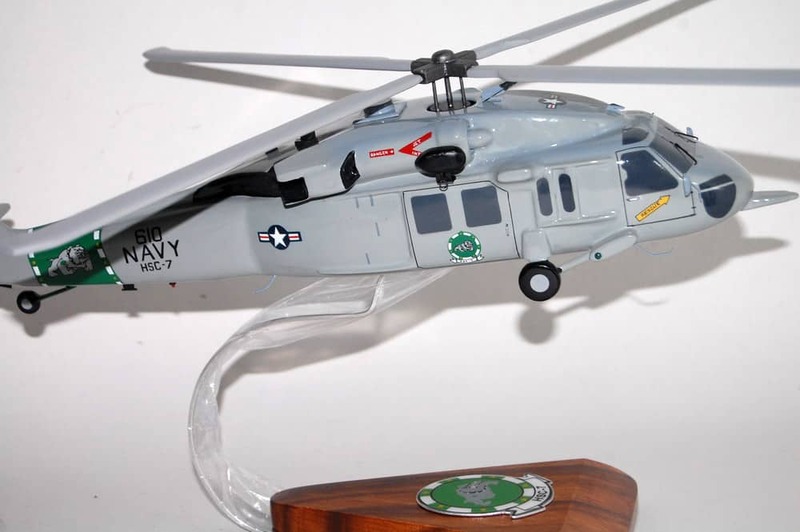 HSC-7 is currently transitioning to the MH-60S and will continue to proudly answer to the call sign “Dusty Dogs”.